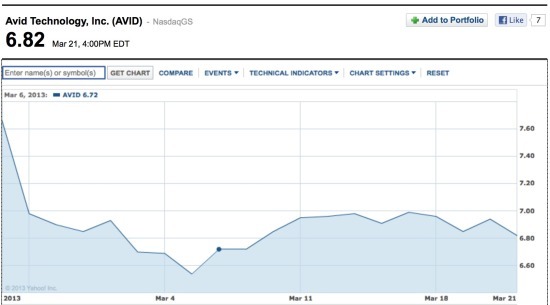 Avid Technology, the owners of Pro Tools, have announced the receipt of a delisting letter from NASDAQ. “To get a stock listed on a major exchange like the NYSE or Nasdaq, a company must meet the minimum standards required by the exchange. On the Nasdaq, for example, a company must pay certain fees, meet minimum standards such as minimum stockholder’s equity, a minimum share price, and a minimum number of shareholders, etc. The rules for delisting depend on the exchange. On the Nasdaq, the delisting process may be triggered if a company trades for 30 consecutive business days below the minimum bid price or market cap. A deficiency notice is then sent to the company. If you have Avid stock then if you have concerns we suggest you seek the advice of a qualified financial specialist.